[Athens, October 26, 2017] PRAXI Network, unit of the Foundation for Research & Technology-Hellas (FORTH), and the Secretariat of the ASEM Cooperation Centre for Research, Technology & Innovation (ASEM CCSTI) signed a Memorandum of Understanding (MoU), with the aim to promote bilateral dialogue, exchange of experiences and to enhance cooperation for the commercialization of research. The ASEM CCSTI is hosted in the Beijing Municipal Science & Technology Commission. 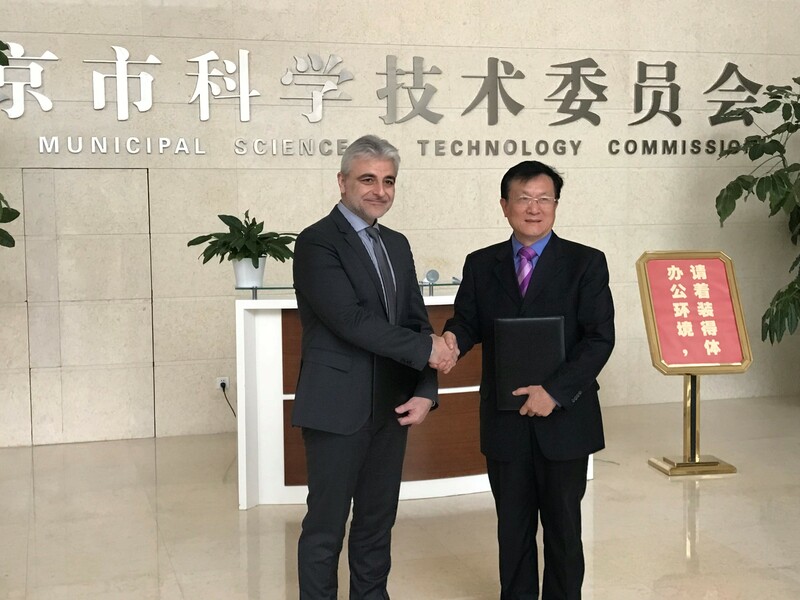 The MoU was signed on Thursday, October 26th, between the President of FORTH Prof. Nektarios Tavernarakis and Prof. Zhu Shilong, ASEM Secretary General, during an official ceremony held in Beijing. Prof. Nektarios Tavernarakis, President of FORTH and Prof. Zhu Shilong, Secretary General, ASEM Cooperation Centre for STI during the signature of the Memorandum of Understanding.